Pickup from Delhi Airport/Railway Station and drive to Hotel, check in hotel and night stay in hotel. Morning after breakfast drive to Delhi sightseeing - Rajgat, Red Fort, Jama Masjid, Qutub Minar, Lotus Temple, Birla Temple, Iscon Temple etc. after sightseeing night stay in hotel. Morning drive to historical and romantic city - Agra, on reach check in hotel and visit Taj Mahal - the most precious gift of love built by Emperor Shah Jahan for his loving wife Mumtaz and Also visit the Marble inlay making factories to see traditional workers making amazing marble crafts. Night stay in hotel. Morning drive to Jaipur, en route Fatehpur Sikri, on reach Jaipur check in hotel and night stay in hotel. After breakfast start for full day local sightseeing in Jaipur. Visit Amber Fort & Palace, "Gaitore" Cenetophs (Front View), take a photo stop at Jal Mahal, City Palace & Museum, Jantar Mantar (Observatory) & take a photo stop at Hawa Mahal. Evening free for leisure. Night stay at Jaipur. Morning after breakfast chek out from hotel, visit Jaipur Fort and drive to Pushkar/Ajmer, on reach Pushkar check in hotel and after some rest visit Pushkar ( Pushkar is famous for Hindu Religion and also famous temple only one temple in India). Night stay in hotel. After breakfast drive to Hadighati, Nathwara, these are very popular place in Rajasthas, Haldighati is famous for Was place of Mugal Kind Akabar VS Maharan Smarat. Full day sightseeing of Haldighati and Nathdwara, return back to Udaipur, night stay in hotel. Morning breakfast and get ready for Chitaurgarh sightseeing, Fort singled out for its glorious history of battles and beauty. A tour to the glorious fort of Chittaurgarh is an unforgettable experience. 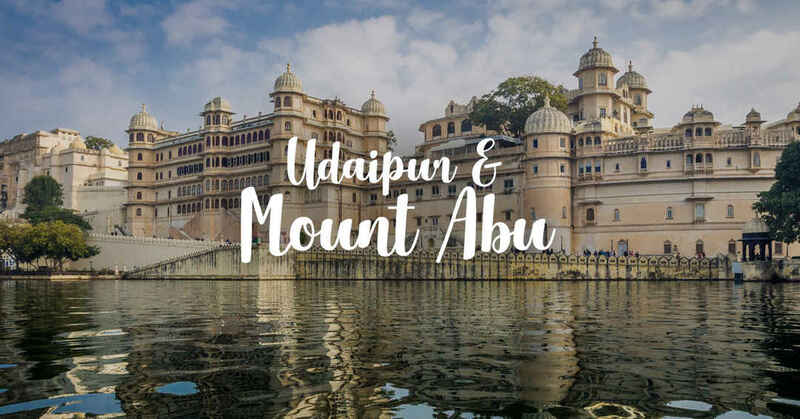 As you drive on the 13 square kms fort visit Palace of Queen Padmini, Peace and Victory Towers and witness several temples dedicated to Lord Shiva, now leis in state of ruins, come back to Udaipur and night stay in hotel. After breakfast rest in hotel, around 10 am check out from hotel and drive to Mont Abu, on arrival check-in to your hotel. In the evening enjoy the sunset from Sunset View Point in Mt. Abu. Overnight stay at Mount Abu. After breakfast start for sightseeing covering Umaid Bhawan Palace, Mehrangarh Fort and Jaswant Thada. Night in hotel Jodhpur. After breakfast check out from hotel & transfer to Jaisalmer. On arrival check-in to your hotel. Overnight stay at Jaisalmer. After breakfast transfer to Bikaner. On arrival check-in to your hotel. Afternoon visit Junagarh Fort which includes Anup Mahal, Gaj Mandir, Sheesh Mahal and Prachina Museum, Lalgarh Palace. Overnight stay at Bikaner. Today get ready for entry in Rajasthan, Land of King. Morning after breakfast drive to Sariska, on reach check in hotel and after some rest visit Tiger Safari. Night stay in hotel.